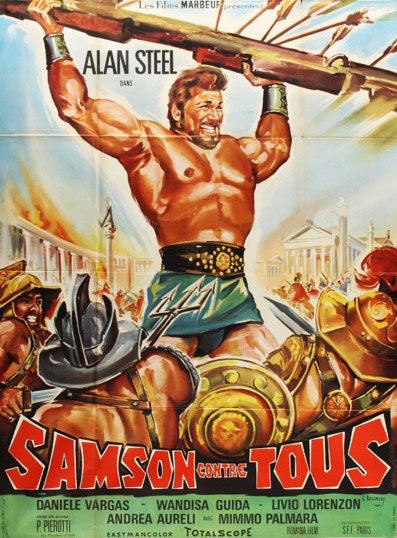 For the French release, Hercules became Samson. Why? I dunno but this is very common in the PEPLUM genre. The character renamed the most outside of Italy (especially in the USA) is probably Maciste. Maciste first appears in Giovanni Pastrone's i914 silent epic CABIRIA as a very strong loyal slave. The title CABIRIA refers to an abducted little girl during Rome's war with Carthage.